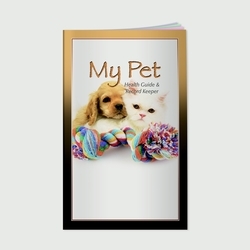 My Pet - Keep your pet's medical history right at your finger tips with this health guide and record keeper. This book takes the worry out of remembering appointments, medication, grooming, shots and more. Price includes a hot stamped, 1-color on one location imprint. 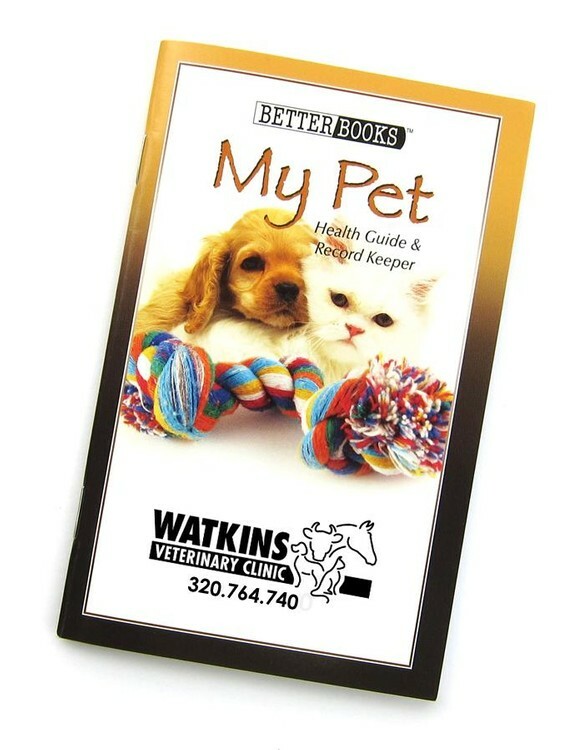 We reserve the right to use offset printing when appropriate. Imprint Area: 2-1/4" x 1-1/8". Maximum 5 lines of text or logo. Packaging: 100 pieces = 8 lbs. Master Carton: 10" x 12" x 13". 400 pieces = 31 lbs.